Don’t Call It a Comeback. We’ve been here for years. Way back when, in 2010 a small clothing brand called Pimpstar saw the light of day (and taste of beer) and was born from the love of riding, love of clothing and love of creating. Ambitions were high and despite a lack of knowledge and no prior experience with starting a clothing brand we bravely ventured out, including not 1, but 32 different countries as part of the family. Full speed ahead meant gambling with every single dime and getting a huge bank loan to feed the dream of a cut-and-sew collection, only to get slapped down hard by reality and fraud. We encountered everything from failed productions, faulty zippers to fake factories. In the 8 years since I started this brand, money has never been my reason. I’ve wanted my own clothing company ever since I was a kid, drawing tee’s with sharpies for imaginary skateboard brands and living in L.A for a year only made the need worse so as soon as the opportunity presented itself together with J (who left after a short time) I went for it. 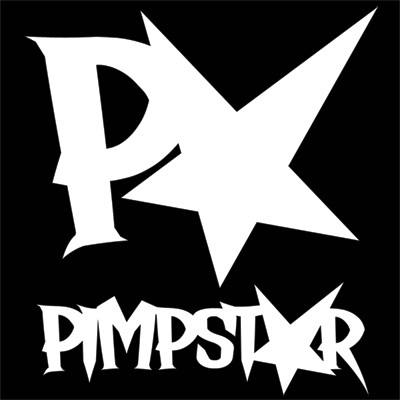 Every dime, every cent, went into making Pimpstar better. Better prints, better garments, better cameras, better videos until I could start doing factory orders – which was a nightmare. Two times I’ve had to sell of bikes just to continue with the brand (I would do it again in a heartbeat) and for the longest time I fully lived the one-man-army concept. Design, film, edit, shop, code, media, you name it. No time for nothing else and while that might not be the best way it was my way. And that leads us to this point. Enough with putting my dreams in the hands of others who don’t care about you or only caring about their own ego. In all the years building Pimpstar, few know I exist and fewer know my name so ego is not my main reason neither. I want to build it for the same reason I’ve always wanted, for passion. It’s getting close to 2 years since we tried to reboot. Only to yet again be screwed over by a producer. But this time we haven’t just waited around. We have been building, scheming and grinding our teeth with one goal in mind. Take control of our own production. So today, without further ado, we’re starting everything up and we’re doing everything in-house. It has taken a year and a half of planning (and more huge bank loans) but we’ve built our very own modern production house, right here in Gothenburg, Sweden where it all started. It’s small, it’s not capable of everything (yet) but it is ours. And I’m not alone, actually I’ve never been alone. To the filthy, the few, the true. Forever yours.